GM released some teaser photosr from the upcoming 2013 Cadillac ATS. Cadillac just released the first teaser image of the upcoming entry-level ATS sedan. The upcoming ATS will be an RWD luxury sports car that will be powered by a turbocharged four-cylinder engine with a possible twin-turbo V6 as an option. The ATS is also expected to become the best-seller for Cadillac and help the American automaker grow exponentially. Cadillac has also confirmed the production of the XTS flagship sedan that will be built at the Oshawa Assembly Plant in Ontario, Canada. 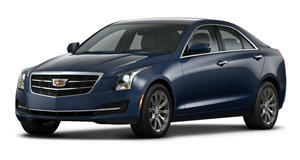 The 2013 Cadillac ATS will directly rival the Mercedes-Benz C-Class, BMW 3-Series and the Audi A4.